COMP Cams Pushrods - Semi-Finished UNIVERSAL - Pann Auto Performance - San Diego largest aftermarket automotive performance parts - What do you drive? Tube Length 6.000" - 7.000"
Tube Length 7.000" - 8.000"
Tube Length 9.000" - 10.000"
Tube Length 10.000" - 11.000"
Tube Length 11.000" - 12.000"
Tube Length 12.000" - 13.000"
Tube Length 13.000" - 14.000"
Tube Length 5.000" - 6.000"
Tube Length 8.750" - 9.750"
Tube Length 8.000" - 9.000"
Tube Length 6.500" - 7.500"
You will order semi-finished pushrods in two separate pieces – Tubes and Ends. First, select the proper pushrod diameter. 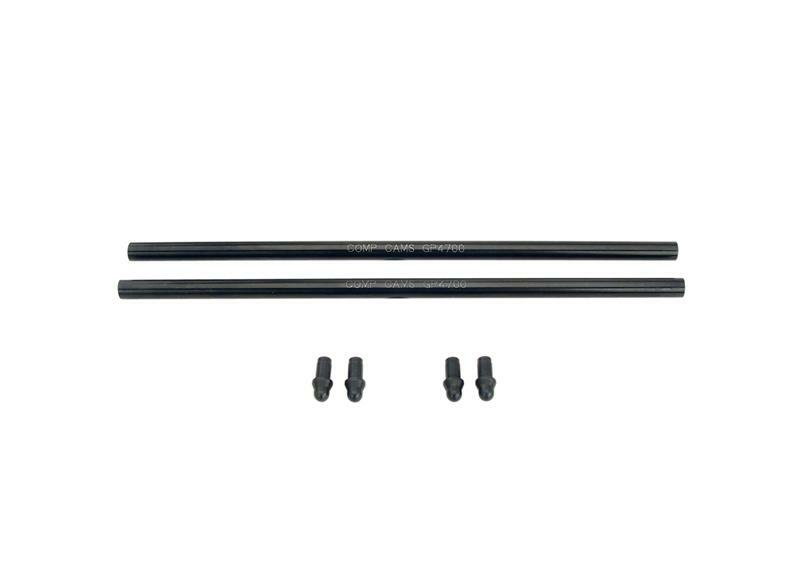 Next, find the appropriate part # for your correct tube length and add “-16” to end of part number. This will be a quantity of 16 pushrod tubes. Select the appropriate end from the diagrams shown for the particular pushrod tube you ordered and add “-16” to part number. This will be a quantity of 16 ends. With semi-finished pushrods, you MUST HAVE the proper pushrod cutter.